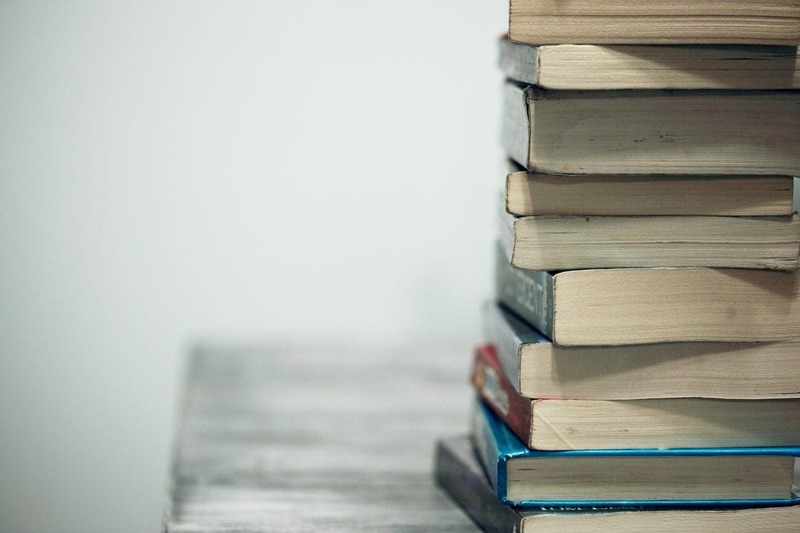 From general parenting advice to tackling specific struggles, this list of books will help you navigate many of the parenting issues you’re facing. 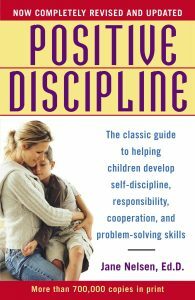 Jane Nelsen is the mother of Positive Discipline – the books, training and methodology based on the work of Alfred Adler, MD. Jane’s background as a psychologist, educator and mother of seven make her a trusted voice in parenting. In this book (and in all the books authored and co-authored by Jane) she shares practical strategies to help parents and teachers be both kind and firm, loving and consistent. The key to Positive Discipline is not punishment, she tells us, but mutual respect. Jane will teach you strategies to get compliance from your children while still saving their dignity. After a quick search of the title, you may be thinking, “Wait a second! That’s not a parenting book!” Before you stop reading, my friend, let’s get something straight: parenting, like most things in life, is all about mindset. If YOU want to be a successful parent and you want to raise successful kids, then this book has EVERYTHING to do with parenting. 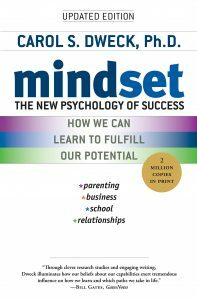 In this brilliant book, Dr. Dweck shows how success in almost every human endeavor (parenting included) can be dramatically influenced by how we think about our talents and abilities. People with a fixed mindset—those who believe that abilities are fixed—are less likely to flourish than those with a growth mindset—those who believe that abilities can be developed. This must-read book reveals how great parents and teachers can put this idea to use to foster outstanding accomplishment in their kids. By Daniel J. Siegel, M.D. and Tina Payne Bryson, M.D. 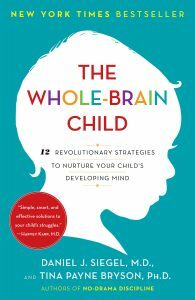 By understanding what’s happening in your child’s brain, Dr. Siegel and Dr. Bryson give you strategies that work with your child’s brain instead of against it. By implementing these 12 strategies, you’ll help foster healthy brain development which leads to calmer, happier children. 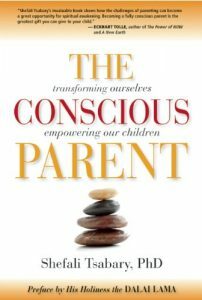 In this book, Dr. Tsabary helps parents get in tune with their own psychological and emotional awareness. By encouraging parents to look in the mirror, Tsabary helps parents understand why it’s important to be conscious of our own histories in order to pass along a positive wholeness to our children. This book serves as a holistic approach to parenting, rather than a quick fix, but will help parents and children engage in a mutually loving relationship rather than a hierarchical one. Jamie is my go-to gal for all things potty training. 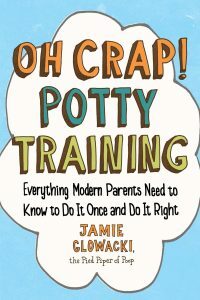 Her no-nonsense approach to potty training is effective and informative, humorous and heartfelt. Jamie is a mama and social worker who has been there and helped thousands of parents cheer their toddler onto success in the bathroom. Using no bribes and no gimmicks, Jamie can help you wave farewell to the diapers in your life for good! 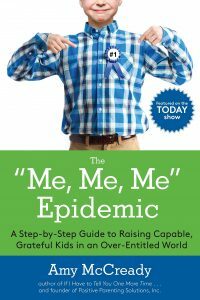 This gem is a must-read for any parent who frequently finds themselves in the throes of a power struggle. 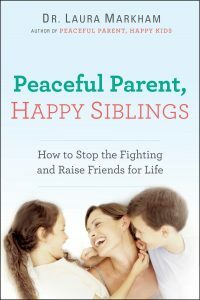 This book is easy-to-read and packed with practical steps you can take to resolve conflict and improve cooperation from your children. Filled with exact scripts and real-life examples, you’ll learn how to talk with your kids in a way that diffuses their anger and allows you to reconnect with their sweet, loving side. Adele and Elaine bring sound wisdom again in this second book! As parents themselves, they were determined to help their children get along. The result was Siblings Without Rivalry. With the help of scripts and cartoons, they teach you how to manage the competition in a way that feels fair to all children. 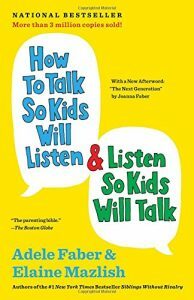 This book offers practical strategies to improve cooperation among your children and reduce feelings of competition – all while helping your children connect to build lifelong friendships. I couldn’t choose my favorite book on Sibling Rivalry, so I had to include them both! Popular parenting expert Dr. Laura Markham tackles one of the greatest struggles parents face: sibling rivalry. In this book, she shares strategies to improve the relationship between your children by equipping you with tools and scripts to use in the heat of the moment. 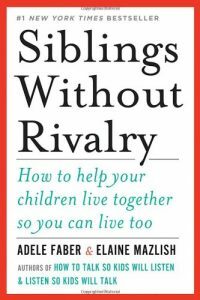 You’ll learn how to decrease the competition in your home and how to foster a loving, supportive bond between siblings. This book is a must-read for any parent of school-aged children! While many parents tout their desire to raise responsible, resilient, and independent adults, Jessica argues modern parenting strategies inhibit our progress towards this goal. In this beautifully written manifesto, Jessica challenges the idea that we need to deliver the forgotten homework or try to resolve our kids’ friendship troubles. She explains that even though overprotective parents see themselves as being highly responsive to their child’s well being, they are prohibiting their child from learning to solve problems on their own. 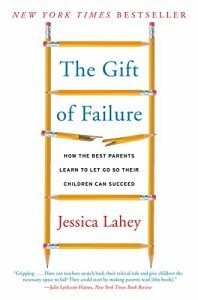 To help parents adjust their over-responsive tendencies, Lahey lays out a blueprint for handling homework, report cards, social dynamics, and sports. Most importantly, she sets forth a plan to help parents learn to step back and embrace their children’s failures. And more so much more! This book is relevant no matter what age your children are! 11. 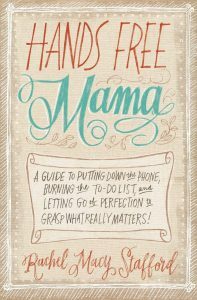 Hands Free Mama: A Guide to Putting Down the Phone, Burning the To-Do List, and Letting Go of Perfection to Grasp what Really Matters! Technology is everywhere, isn’t it? The distractions are endless, the social media rabbit holes are more like deep abysses, and the length of our to-do list rivals that of a dissertation. In this book, my friend Rachel Macy Stafford shows us a better way to live. Not by forgoing technology altogether, but by embracing what really matters – moments spent with those we love. She shares her own journey into becoming a hands-free Mama, and gives practical wisdom to help you adopt a hands-free life. She teaches you how to be truly present in the little moments so you can reconnect with your kids and start living an authentic and intentional life together. Are you losing sleep over your bedtime routine? Don’t worry, The Sleep Lady has got you covered from infants to bigger kids. 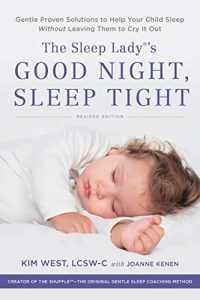 This step-by-step guide helps you tackle even the toughest bedtime struggles so you and your children can get the sleep you need, without any of the frustration leading up to it. Having helped thousands of parents tackle the bedtime routine, The Sleep Lady is a trusted resource in the world of sleep training. Do you feel like your child is out of control? Does your child often respond to problems by crying, screaming, swearing, hitting, etc? If you’ve tried everything and nothing seems to work, please get your hands on this book. This compassionate, thoughtful, and practical book will give you the roadmap you need to diffuse these destructive behaviors in the moment and prevent them from happening in the future. 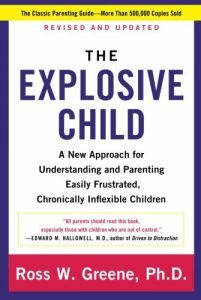 Dr. Greene will help you understand why traditional parenting methods of punishment and rewards don’t work with explosive children and what to do instead. Dr. Borba tells us that teens today are forty percent less empathetic than they were thirty years ago. She argues that this lack of empathy hurts kids’ academic performance, leads to more bullying, and correlates with more cheating and less resilience. But don’t worry, not all hope is lost. 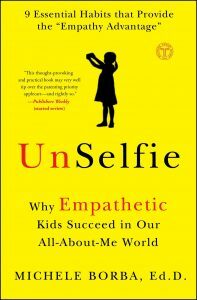 In this book, she offers a step-by-step plan to increase empathy in your children. Empathy is a trait that can be taught and nurtured and Dr. Borba will teach you just how to do it, so that you can raise successful, happy kids who also are kind, moral, courageous, and resilient. In this self-promoting, digital age we live in, it’s incredibly difficult to raise daughters who are able to confidently separate themselves from society’s views of who they should be. 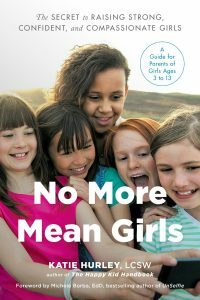 When girls feel insecure and devalued, these feelings often manifest in ways that put other girls down instead of lifting them up. Luckily, Katie provides actionable steps to help parents empower young girls to be kind, confident leaders who work together and build each other up. Katie will help you and your daughter navigate this consumer-world so she can discern what positive traits she can offer this world. By empowering your daughter to focus on her strengths, you’ll increase her self-confidence and ability to lead other girls well. I hope this list helps you sort through the millions of parenting books on the shelves and that you’ll find them helpful! These authors and teachers are incredibly wise, and you can trust that they are offering sound advice. I’ve also written a couple books that could be helpful to you, too! 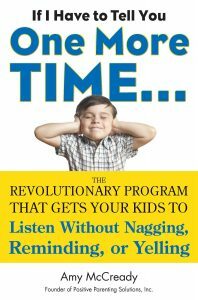 In this book, I outline the step-by-step strategies for empowering your kids without indulging them. Fueling their spirit – not just funding their wish-lists. Building bonds that can last a lifetime. Fostering compassion for others, rather than focusing on themselves. And parenting in powerfully positive, proactive, life-changing ways. 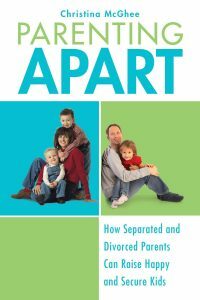 In this best-selling book, I point to one of the all-time great paradoxes of parenting: giving our children more power—not less—can put an end to power struggles in the home. Drawing on Adlerian psychology, I explain that every human being has a basic need to feel powerful—with children being no exception to the rule. And when this need isn’t met in positive ways, kids will resort to negative methods, which often result in some of the most frustrating behavior they exhibit. Inside these pages you’ll find step-by-step tools and instructions to diffuse the power struggles in your home! If, after reading through some of these books, you’re still looking for answers, I’d encourage you to join us for a free online class and learn how to get your kids to listen without nagging, reminding, or yelling! We are always here to help you on your parenting journey!